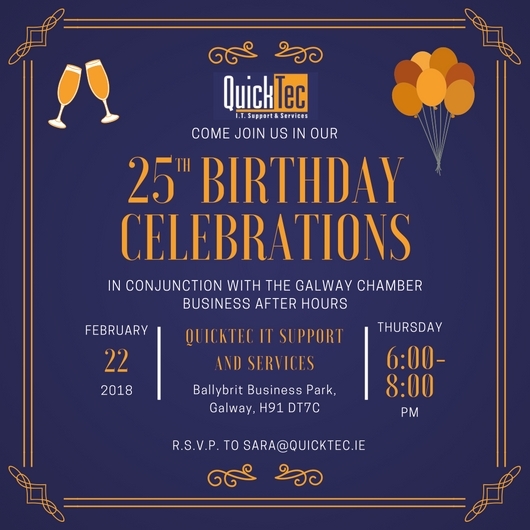 We are delighted to be hosting this month's Galway Chamber of Commerce Business After Hours at our premises in Ballybrit Business Park on Thursday 22nd February from 6pm until 8pm. The Business After Hours are a great opportunity for Galway Chamber members to invite other members into their business to get a further insight in to their services. We are also celebrating 25 years in business!